Flying saucers are real and are in use everywhere. It’s not impossible to make your own. 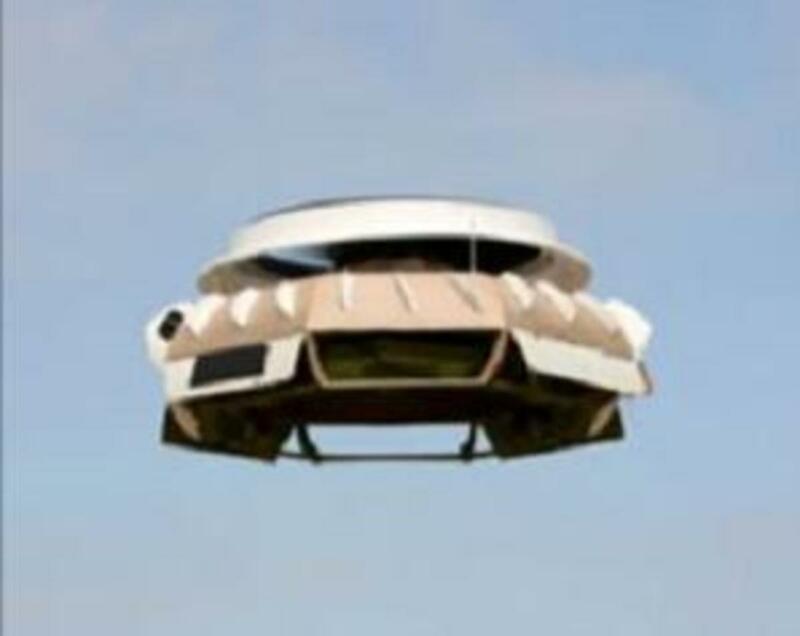 In 2009, the British police used this remote control surveillance flying saucer. The Netherlands are building this alternative to a regular jetliner. 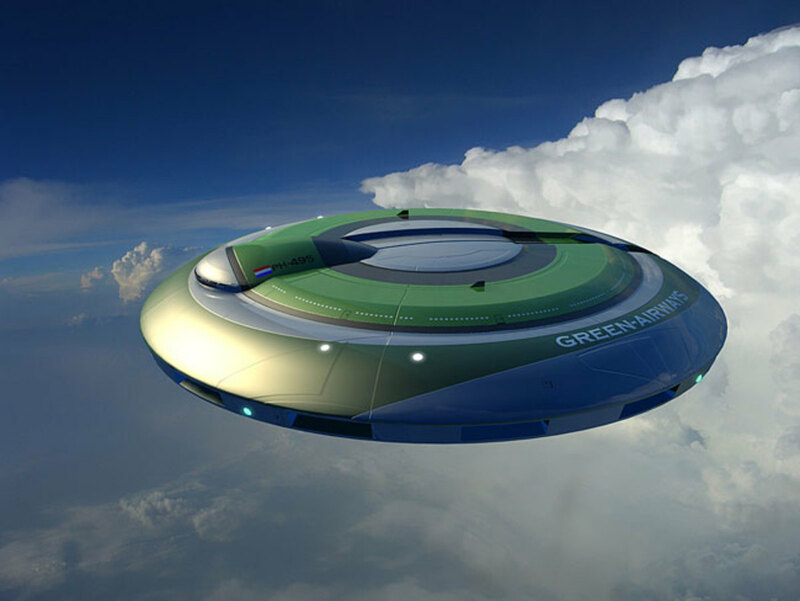 It is a true terrestrial flying saucer, though powered by jets and jet fuel. It can be modified to be powered from greener power sources. This is a turbofan for one type of terrestrial atmospheric flying saucer. 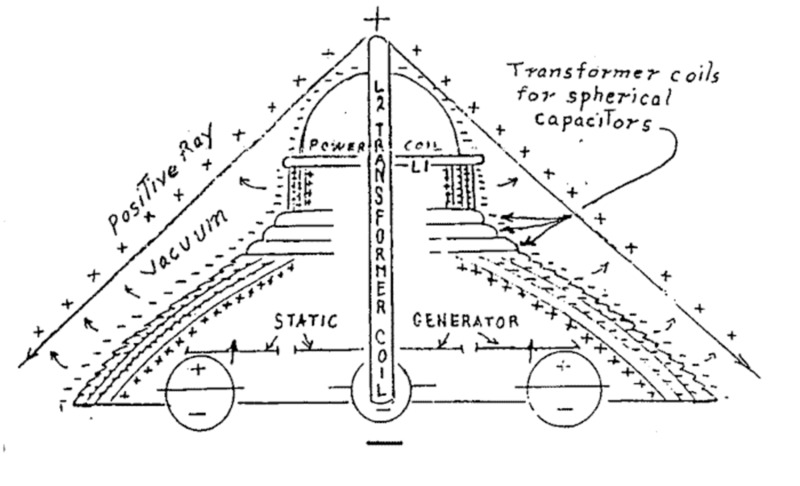 This is an actual patent picture for an electrostatic propulsion flying saucer invented in the 1930s. Modified, this one would be capable of deep space travel. For purposes of experiment, this small turbofan type flying saucer is a good jump off point. This is open to all kinds of possibilities. 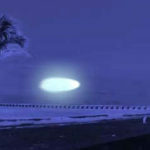 This Chinese flying saucer has been seen frequently in the skies of China recently. 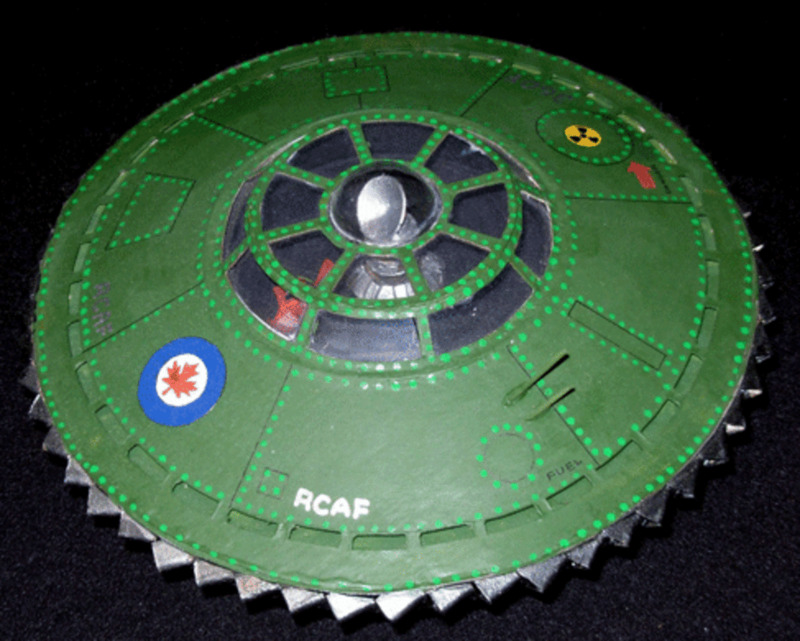 This is a photo of an actual RCF flying saucer made in Canada. The turbofan was incorporated around the edge. 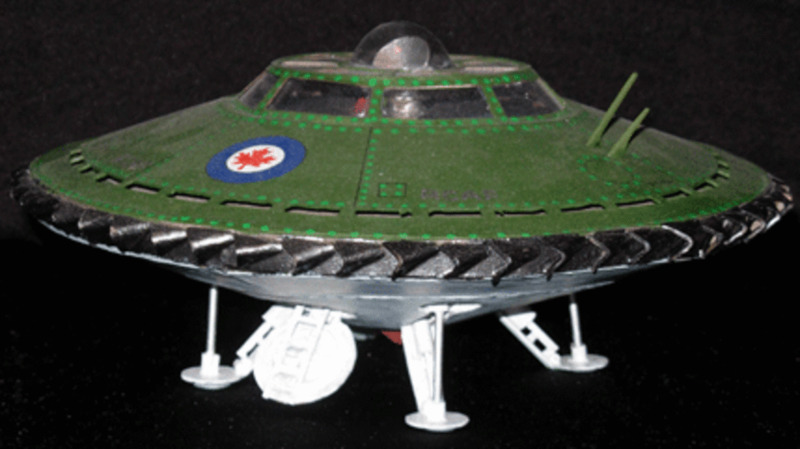 This is a second photo of the Canadian saucer. As it has been done for decades, it proves that such designs are not impossible and also explains a lot of UFO sightings. Today we have more sophisticated saucers than these. As implausible as this sounds, we can build a flying saucer that can do the seeming impossible as most people conceive today. 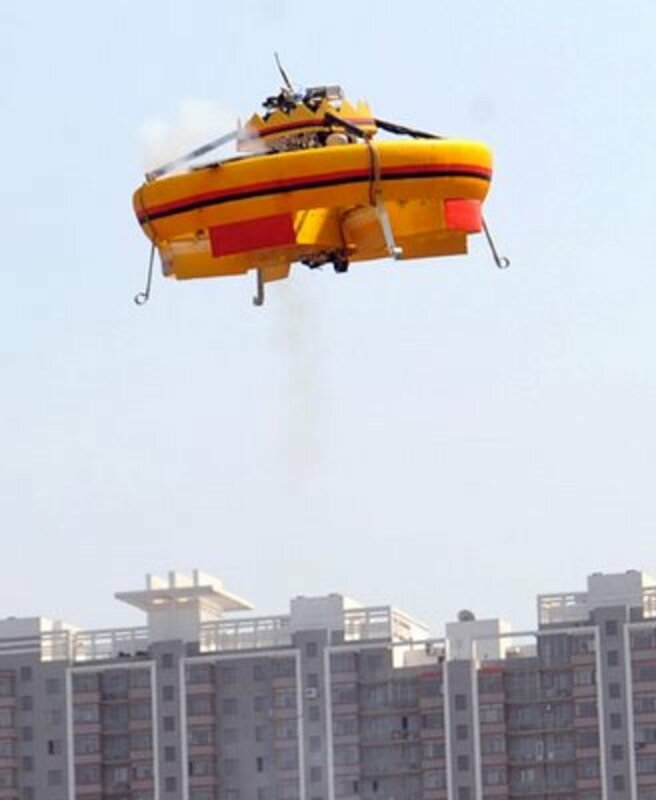 A flying saucer should be a VTOL (Vertical Take Off and Landing) capable vehicle, as well as hover, make fast turns, start, stop and be able to stand a wide variety of environments from a deep freeze, to intense heat and to a hard vacuum. 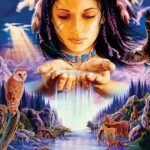 There is already plenty of experimentation in this area and some have come forward with their success stories of building these craft and then operating them mostly within the confines of the earth’s magenetosphere. But some have even been tested in space. As we understand things today, there are a number of ways to propel a flying saucer. 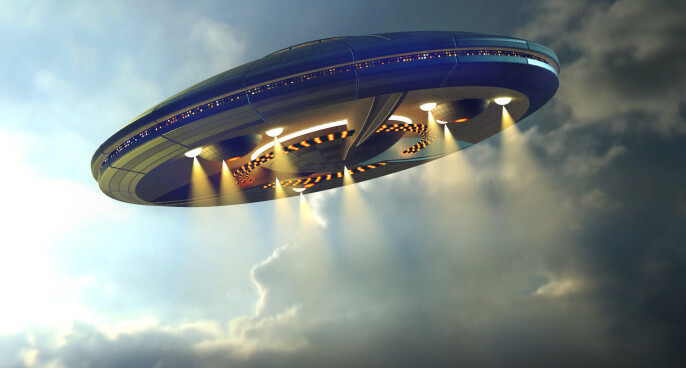 As long as we take into account that for most applications, flying saucers do not carry any more fuel than is necessary for an emergency, then the idea of long space journeys is not out of the question. For the most pat, these craft can be fuelled remotely; that is, the energy to propel them exists in space and can be gathered and used, or it can be beamed to the craft by various means from a place where the mass of inertia is irrelevant. Therefore, to build a flying saucer, we must take several factors into account. The craft must have a receiving apparatus to take on energy from a remote source. It may be equipped with a high powered laser to blast potentially threatening space debris. The craft must have the best in navigation computers linked to the stars for orientation with real time algorithms for maneuverings to the planets and moons. 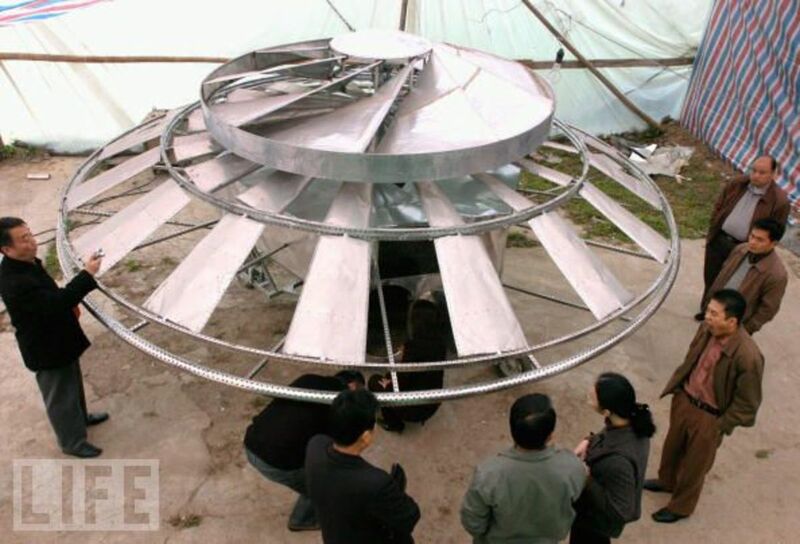 Considering the forgoing, it is not as tough to build a flying saucer as one would think, unless money or funding stands in the way. Most of the technology exists right off the shelf to build a flying saucer. The question then remains, why even build a flying saucer? The answer is that they have already been built and if you have the means, you can build your own private flying saucer. 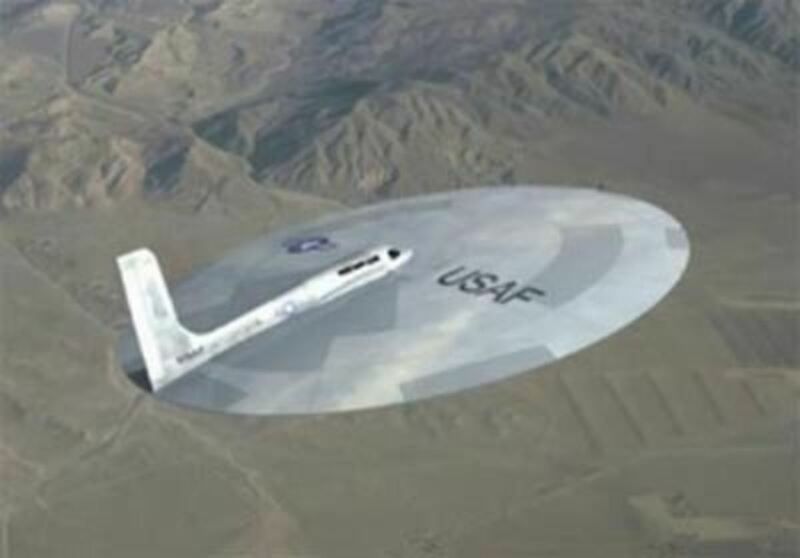 Another reason is that the saucer shape, if designed properly, is the most aerodynamic and efficient flying shape there is. The thin profile saucer shape is also excellent for deep space travel as there is only a small head on target for space debris to strike. The flying saucer shape is born out in the toy Frisbeethat can be used to perform amazing areal feats in the hands of an expert. The Frisbee of today had its precursor in the discus that was used in ancient Greece. Today, the Frisbee come in a wide variety of configurations, as do flying saucers. We need only consider the propulsionmethod and how we are to provide remote or outside energy to power it. When we consider all the ways to move things today, we can come up with a list of possible propulsion systems. Flying saycers have a long history. Be patient! The clip starts off with the corny Hollywood B stuff, but then it gets into serious history. Obviously, some of these will be easier to achieve than others. 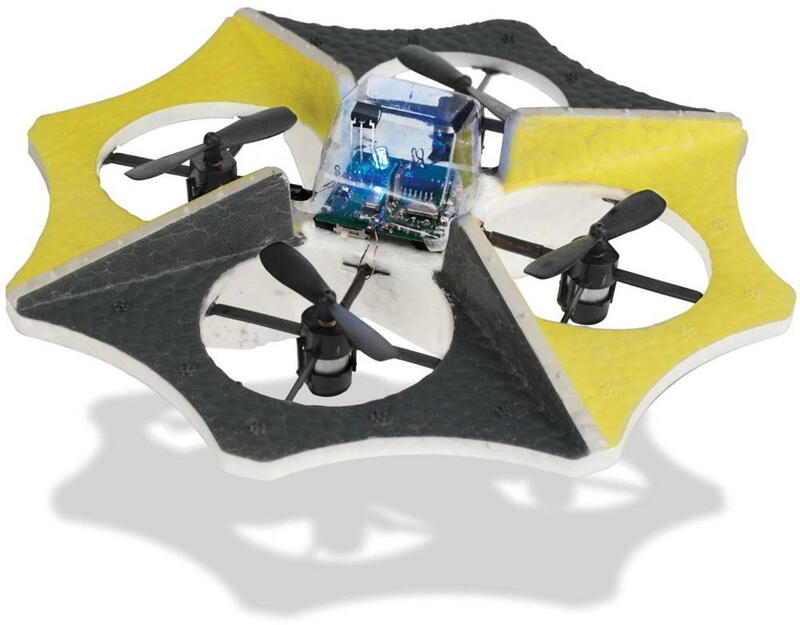 The four that are most accessible to the lay person or hobbyist builder are the turbofan, the mechanical, the magnetic field drive and the high voltage repelling electromagnetic variety. The most difficult to build is the radiation drive as this requires access to radiological materials, the reserve of the mightiest military powers and political regimes on earth and excluded from public use. To build a flying saucer, you are going to require a plan. This will lay out all your thoughts in a clear, concise and formalized manner so you know where you are going. In other words, you will need a set of blue prints and detailed specs all worked out in advance. Once you have worked out from research into available propulsion systems, the next step is to build and test mock-ups of the propulsion system around which you are going to assemble an airframe and/or a space shell. All of this assumes that you have skills in machining, electrical manufacture, welding and the use of exotic materials. If not, you may have to hire on outside help with various skills. You may opt to take training in various disciplines so you can do most of the work yourself. A good course in physics is highly recommended. You will likely be working with materials like carbon fibre reinforced lightweight metals or plastics, Kevlar, aluminium, titanium, complex control circuitry and guidance systems, energy receiving and conversion systems, either remote, manual or both in tandem and propulsion systems. Remember, we want to keep the craft as light as possible, which means that if we can do it, we don’t have the fuel on board, except for a small amount for emergencies. The best way to do this, is to have the fuel remote from the craft and the energy beamed to the craft in motion and that energy converted to drive the propulsion system and internal electronics. One of the best ways to do this is to power the craft from earth based masers or lasers. The craft itself will receive these coherent beams of energy and with the use of a rectenna, convert the light into electrical power that can then be used to drive a large number of propulsion systems. The maser and craft will have to be in contact with one another, so that energy arrives at the saucer instead of beaming uselessly into deep space. One way to do this, is line of sight or light travel, or to synch the saucers on board guidance and computer with the maser or laser on the ground that is also computer guided. The saucer craft will function only as long as it is in contact with the fuel source and/or with any reserves that may be stored on board in batteries or capacitors. A loss of power to the craft can be fatal, especially if you are moving through interplanetary space and have no way to reconnect. The saucer will be doomed to coast into deep interstellar space. An alternative to this system is to equip the saucer with a wide frequency radio wave capturing antenna system that will convert, collect and store this as electrical energy. By doing this, we can dispense with ground based masers and lasers and use the ambient radio energy from the sun, planets and deep space. Capturing and converting radio electromagnetic radiation is proven technology that can be amplified to produce on board power needed for propulsion and evasive manoeuvres. For that matter, there also exists a method to capture infrared radiation and convert that directly to electrical power. The disadvantage of radio wave or infrared collection is limited power that may be sufficient for ion drive only. What method you finally chose will be one of experimentation in order to determine the one that is best suited for your purposes. There are already many ideas that have been patented and resource information can be accessed through the patent office and on line. When building a flying saucer, just be careful about patent infringement. The fines are heavy on this. It is good to develop on known ideas and extend them to incorporate some of your own findings. This way, by altering what is patented, you are in less legal danger. If you do finally make it to space, you will need to consider short flights and then longer ones to determine what kind of personal supplies you will need for the full return voyage. Targets to aim for are first a short flight in the atmosphere of the earth, then a sub orbital flight, then an orbital one. If you succeed in getting this far, a return trip to the moon and back is a consideration, or perhaps to an earth crossing asteroid in a timely manner. There are many basement and garage hobbyist experimenters around today. Perhaps you know one. You may have an interest yourself. I know that I’ve had an abiding interest in flying saucer technology and have dreamed of building one. 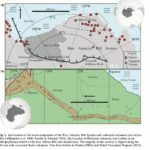 This is then a first of a series of exploration in this emerging and exciting field that has the potential of giving many people access to outer space. Perhaps the best route to go, is to first build a scale working model of a flying saucer run by remote control and from there, scale up to a fully functioning private spacecraft. The cosmos awaits! Flaying Saucer Buffs; This is For You! Plenty of Good Patented Ideas. Click on FACT! By clicking of the “Fact” link, you will get a detailed account of US patents on the subject of building a working flying saucer. 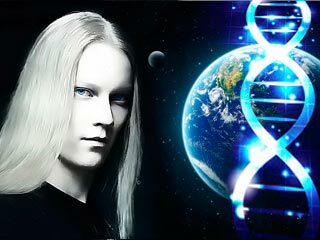 IF the Vril Society could do it in the 40’s, we can certainly do it today. So, get busy and have some fun! This surprising page turned up and describes the work of the Nazis going back to 1932, The US Air Force Also had plans! The Haunebu flying disk craft was in development from as early as 1932 and was one of Hitler’s secret weapons. It became operational by WWII and was in use in a variety of configurations. Here is a mass impulse type engine that can levitate and drive. 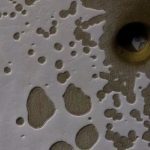 Mysterious Unexplained Deep Hole Discovered On Mars Near The South Pole – A Crater Or Collapsed Pit? 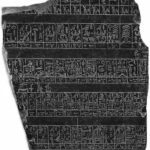 The Palermo Stone –Evidence of Ancient Astronauts?